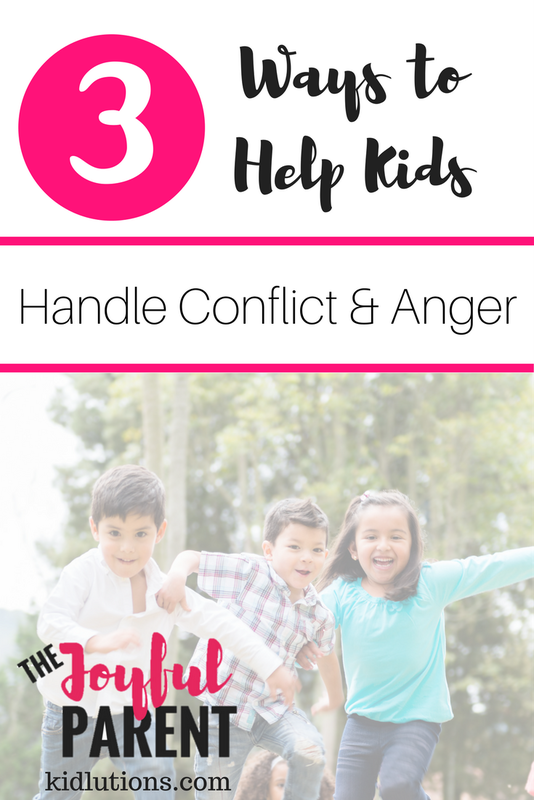 "How do I help my kids handle conflict and anger? They start bickering with each other and I end up loosing my cool!" It's one of the most common questions I get from parents. 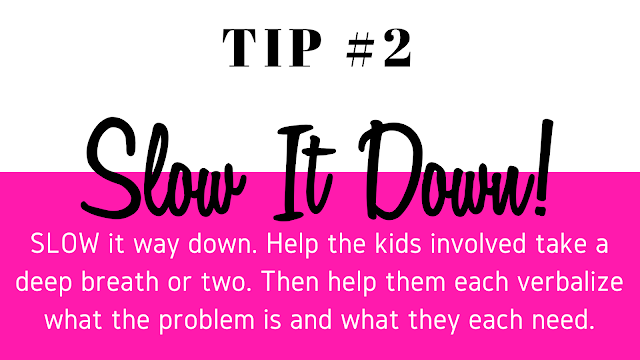 Before you send your kids to time-out (which really isn't going to help them learn to better the next time), consider these three steps that make it a bit easier to help kids "slow their roll" when it comes to arguing. You'll probably find that you can eliminate time-out completely. I certainly hope so! No family is exempt from these emotionally charged exchanges between kids...and as I like to say, "Wherever two or more of you are gathered...there is conflict." Conflict isn't going anywhere anytime soon, so it's time we saddle up and give kids the skills it takes to navigate this aspect of their lives. First came conflict, then came conflict resolution. There's just no way around this! We've gotta keep our own heads in the game. We've written extensively about keeping calm over the years. It's the first step to helping our kids. If you struggle with this, you are not alone! It's one reason parents see me in my office, and I assure you...you are in good company. When we lose our cool, it keep us (and our kids) stuck. Get off the anger merry-go-round and change all of this for good! We'll show you the what's, why's and how's of it all in The Joyful Parent...and online event that will support parents world wide! Help kids understand their own wants and needs, and to learn how to take the perspective of those around them by taking a few minutes to do this. Some deep breathing might be essential to model and practice before anyone speaks! Help kids identify what it is they need and check for understanding. It's an art...and it's one we can teach kids. The art of the compromise. 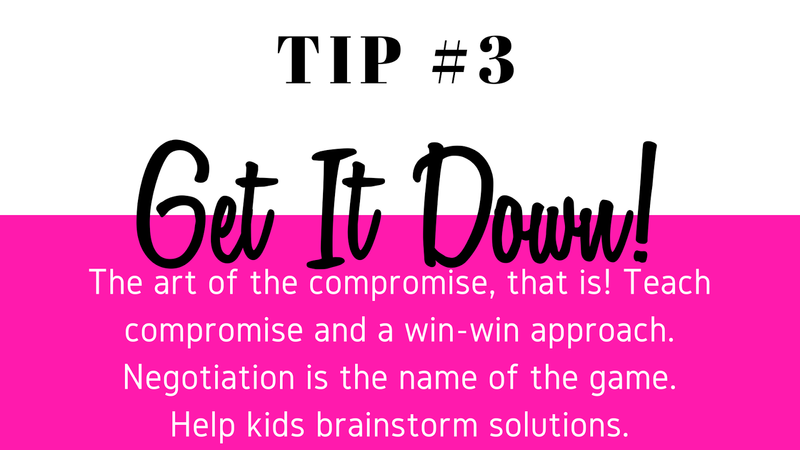 Compromise is a BIG word, and it can help us solve BIG problems. Compromise is essential in friendships, relationships, business and life in general. 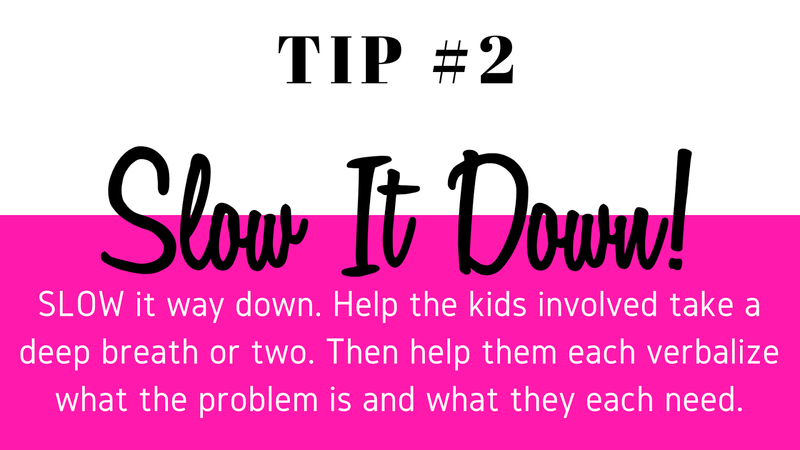 It's a top social-skill that you'll want to pass along to your kids for sure! See? Isn't that pretty simple and straightforward? Give it a whirl and see if it doesn't start to make a difference in your home! Don't just try to STOP challenging behaviors...build some skills around them, instead! your family, by joining us on The Joyful Parent. 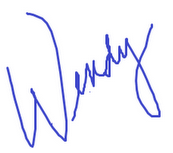 Wendy Young, LMSW, BCD, is the founder of Kidlutions and co-author of BLOOM: 50 Things to Say, Think and Do with Anxious, Angry and Over-the-Top Kids and co-creator of BLOOM Brainsmarts, professional development for educators and clinicians. She is the creator of numerous workbooks and resources to help from the preschool through the teen years.